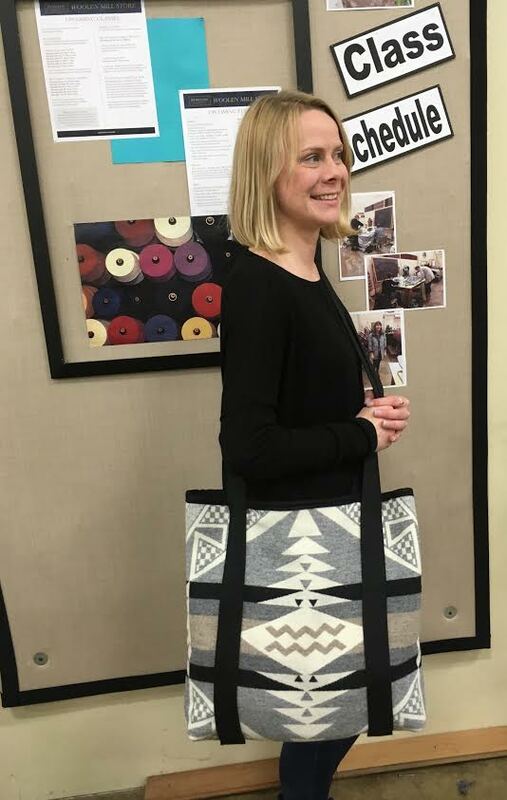 Pendleton Woolen Mill Store: Sign up for upcoming class! Sign up for upcoming class! Get creative and be green! 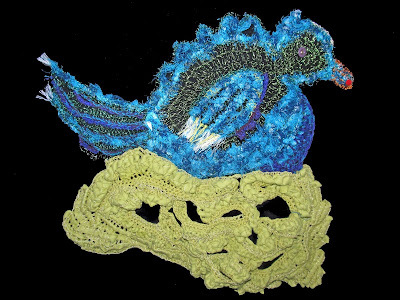 What can you do with fabric mill waste!!? fabric selvages, Pendleton yarn, and wire. See the “Mill Ends” tab for more details! techniques to tame unusual materials, especially Pendleton selvages. Students should know how to do a foundation chain and a 2nd row in any stitch. Bonnie Meltzer is a mixed media artist with extensive teaching and exhibition experience. She has been creating art for more than 40 years, and has had her art shown at the Oregon Museum of Science and Industry, the Contemporary Crafts Gallery, and many others. Meltzer lives with her husband in Portland, Oregon in a cottage with an outbuilding studio in the yard. Both are surrounded by an enormous organic vegetable garden.